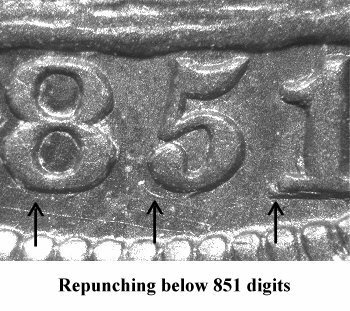 Comments: Obverse 4, in its earliest die state, shows repunching below the base of the 851 digits. The strongest repunching is below the left foot of the 1 and will remain visible in later die states. 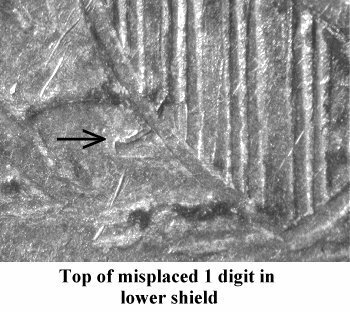 This obverse also exhibits a misplaced 1 digit in the lower shield between shield lines 2 and 3. 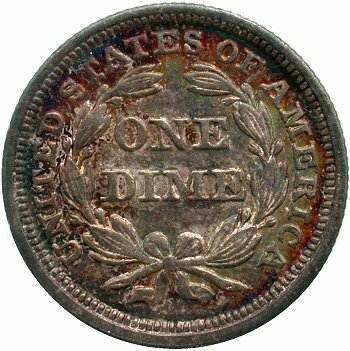 The entire upper flag of the 1 is clearly visible, even on lower grade circulated examples. 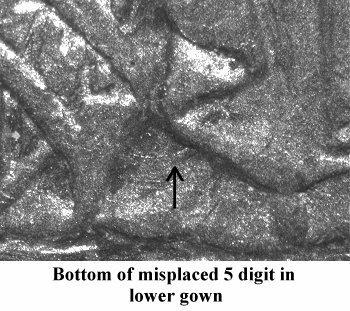 Traces of the bottom section of the upper loop of the 5 digit are also visible in the region between the right scroll end and the pendant. 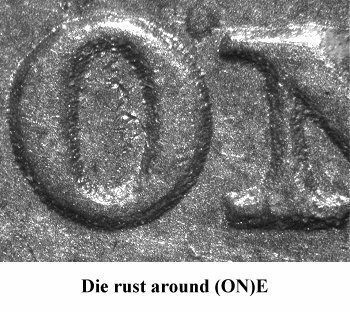 Reverse E exhibits rust damage around the wreath elements and the denomination. 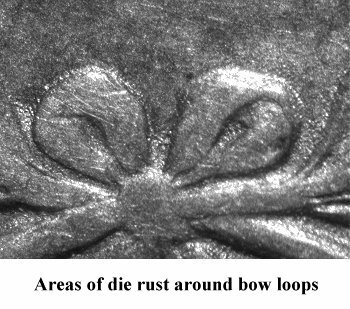 The rust is most evident in areas around the bow loops and the lower wreath. 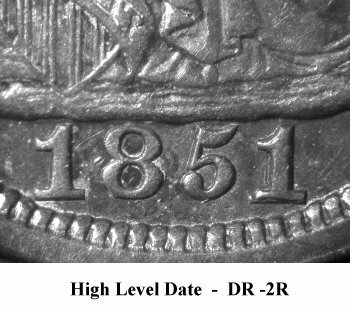 This appears to be an old reverse die. 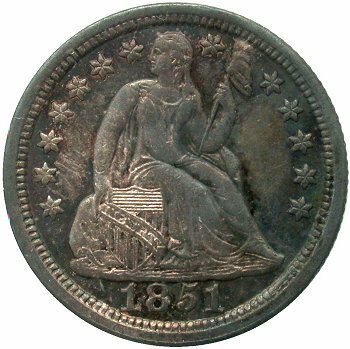 Unfortunately, I have not been able to identify prior usage of this reverse die or an earlier die state pairing.